Jim Garrison is President of Pacific Federal Insurance Corporation (PFIC), which is headquartered in Glendale, California. Pacific Federal is one of Southern California’s largest privately owned employee benefit companies. The company specializes in the administration of Private Exchanges, Labor Taft-Hartley Health Plans and Corporate ERISA Plans. Jim has worked continuously in the health insurance industry for more than 30 years. He has been recognized, as a healthcare industry expert, in the design and implementation of regional and national “Preferred Provider Organization (PPO)” plans. He co-founded one of the nation’s first PPOs, which was the first to establish relationships with national insurance carriers. Among his many professional endeavors, Jim serves on the Executive Board of the Los Angeles Area Chamber of Commerce and co-chair of the Healthcare Council. He is a Board Member of the Chambers LA Job’s PAC. Jim is a member of the Advisory Board of the Loyola Marymount University, Center for the Study of Los Angeles. He is a past Board Member of the Valley Industry & Commerce Association (VICA) and a Board Member of VICA PAC. 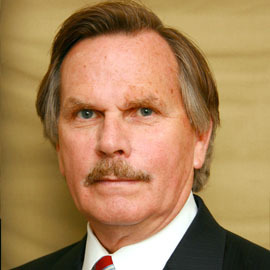 A past member of the Electoral College, Jim represented California in the 2000 presidential election. He is a past member of the California Democratic Party Finance Council. Jim was honored with Golden Hands Award from the Boys & Girls Club of San Fernando Valley and the Teamsters National Hispanic Caucus Community Award. Jim and Rachel Garrison are past recipients of the March of Dimes Premiere Parents Award. Jim and Rachel reside in Glendale, California. Together they have four grown children. He is a private pilot and enjoys boating, fishing and skiing.